The Danish Warmblood is a handsome horse breed. Well proportioned and with excellent paces. Danish breeders have successfully produced a superior competition horse, which is versatile and excels in comparison to many other European horse breeds. The breed combines strength and courage with a good temperament. 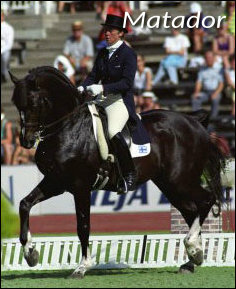 Danish Warmblood’s usually make good dressage horse’s. Like many other warmblood horses the Danish Warmblood bears a distinctive brand on its hindquarters. Here it is a crown above a wave, which sits above a series of identification numbers. 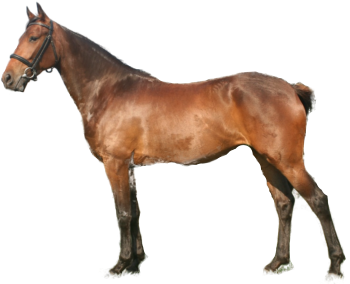 The Danish Warmblood stud-book was opened in the 1960’s and it is one of the more selectively bred European competition horse breeds. Colour: Black, chestnut, bay or dark brown. Height: average 15 to 17hh. The best Danish horses have a Thoroughbred outline that is combined with substance, strength and good legs. Courageous and spirited, have excellent temperaments, and good, free action. Danish Warmbloods often excel at dressage, none more so than the black stallion Matador, who enchanted everyone with his panache and exuberant personality. Placed fifth in the 1988 Olympic games Matador was out of action for the whole of the following season after a serious operation for a life threatening bout of colic. In a spectacular come back at the 1990 World Equestrian Games Matador finished runner up to the then Olympic champion Rembrant. Making his rider Kyra Kyrklund the first Finn to win a medal in any equestrian sport at senior championship level. This issue can levitra ketorolac tromethamine tablet 10 mg orodispersible be approached legally under a..